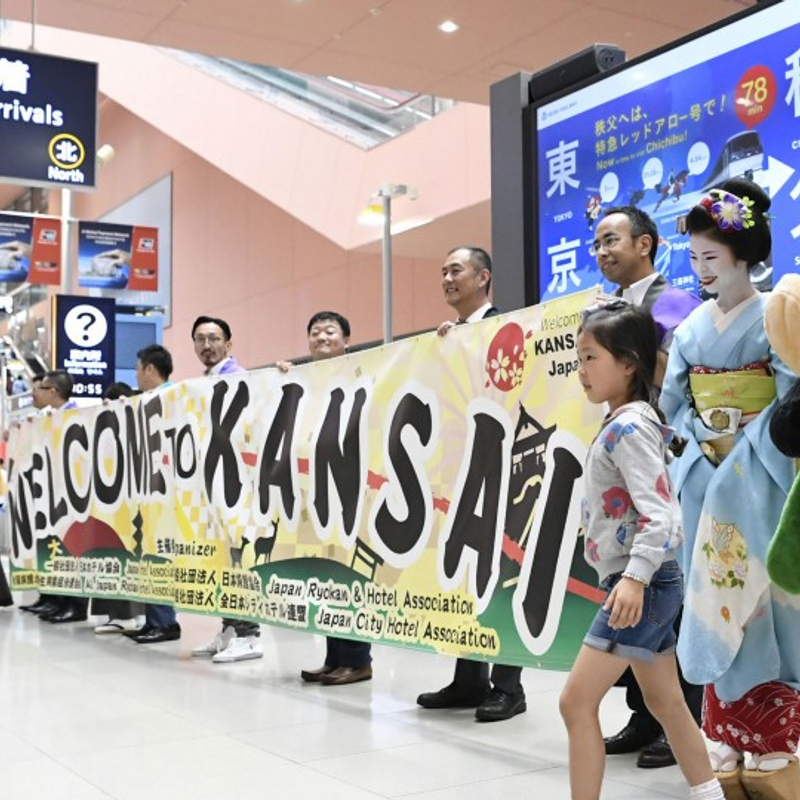 OSAKA - Kansai International Airport fully resumed operations Friday, 17 days after a powerful typhoon flooded its facilities, crippling the western Japan region's main international air gateway. 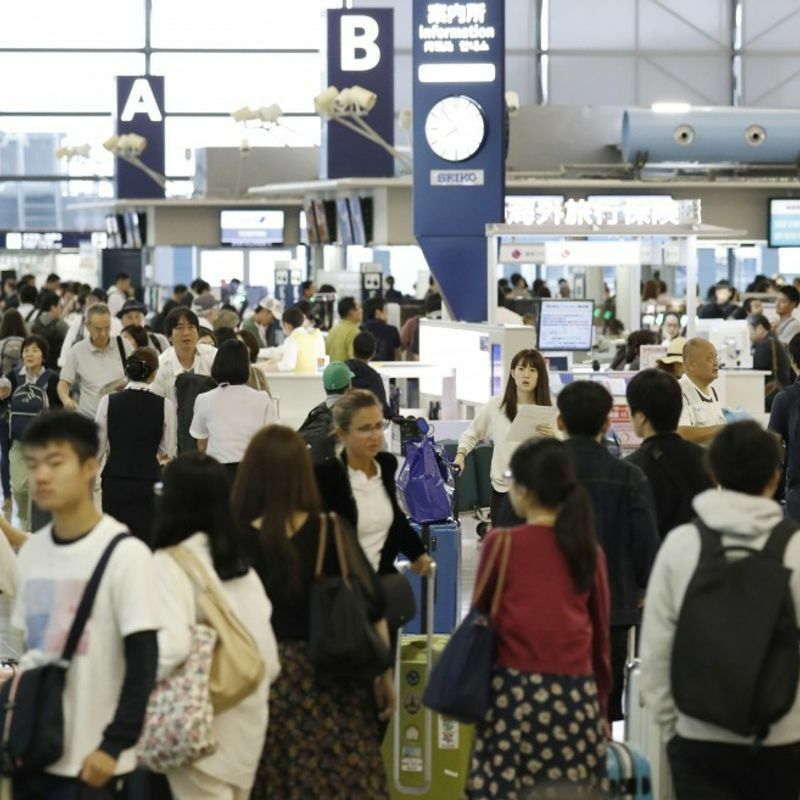 Long lines of travelers formed in front of check-in counters at the airport in Osaka Prefecture from early morning after the northern area of its No. 1 terminal reopened. It was the last section to have remained closed due to the flooding from Typhoon Jebi on Sept. 4. 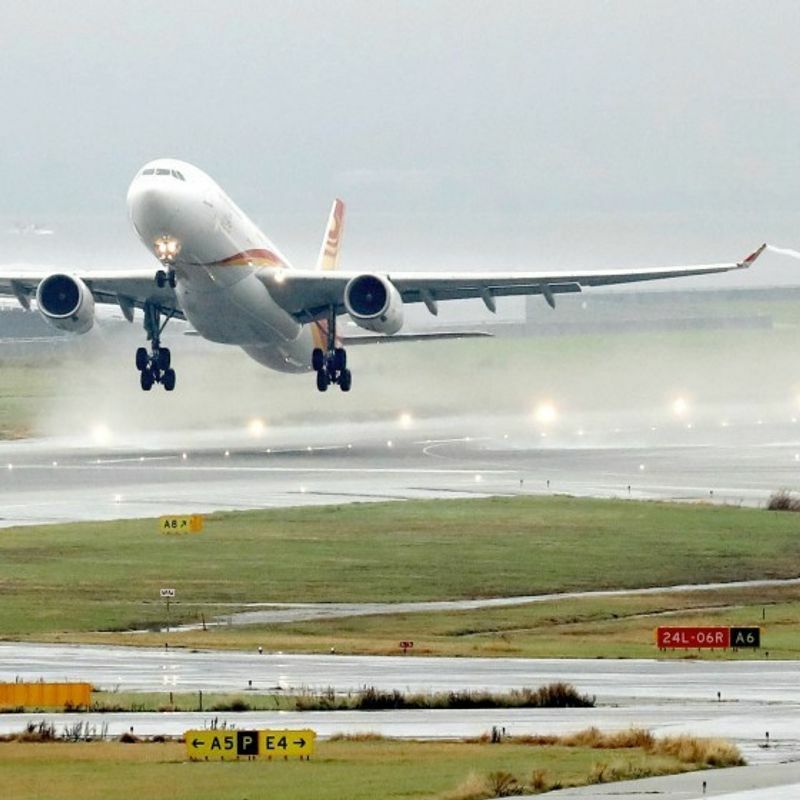 A total of about 470 domestic and international flights, the same level as before the disaster, were scheduled to depart from and arrive at the airport on the day, its operator said. Nearly 80 percent of the airport's cargo area is expected to be restored by the end of this month. 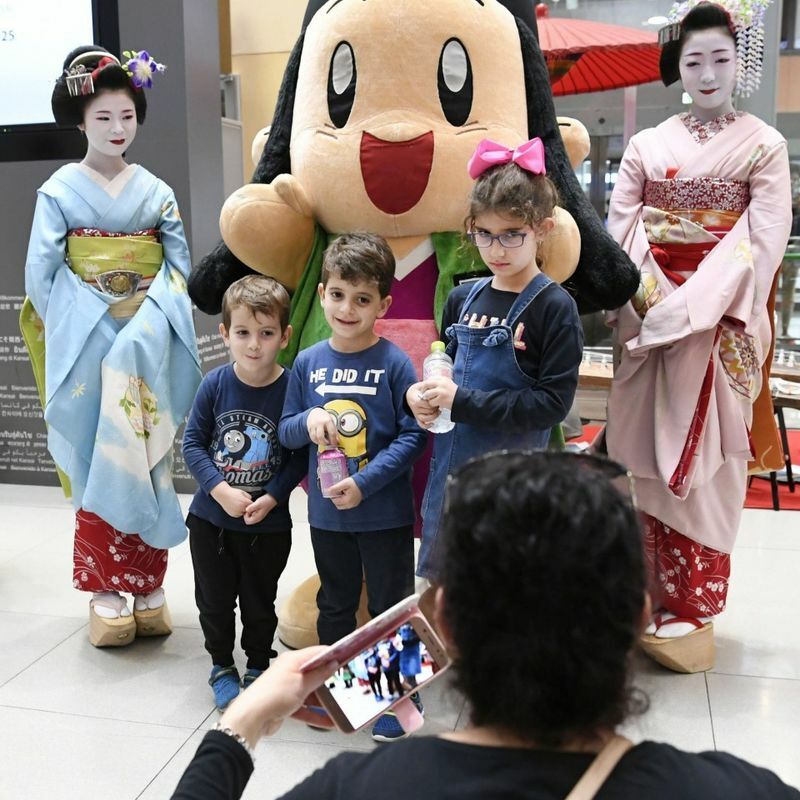 As of Thursday, however, the number of foreign visitors coming to Japan through the airport was about 50 percent of the level a year earlier, according to the Osaka Regional Immigration Bureau. Before the closure, around 20,000 foreigners entered Japan at the airport each day and it was used by an average of around 80,000 passengers. Xu Jingfang, a 55-year-old Chinese woman who lives in Wakayama Prefecture, said before boarding a flight to Hong Kong that she had been forced to change her schedule repeatedly due to the typhoon. "I can finally go on a trip. Although my trip will be shorter than initially planned, I want to enjoy it," said the woman, who plans to visit her sister in San Francisco via Hong Kong. The season's 21st typhoon flooded the airport's No. 1 terminal building, one of its two runways and a power-supply facility, while high waves and strong wind caused a tanker vessel to crash into the sole bridge connecting the airport, located on a manmade island in Osaka Bay, with Japan's main island of Honshu. The airport suffered a blackout in most of its buildings and was unable to drain water that had flooded the runway. It was not until Sept. 7 that the airport partially reopened, using the No. 2 terminal building and one runway. A week later, it started using the southern area of the No. 1 terminal building and the other runway. During the disruption, two airports in the vicinity -- Itami and Kobe airports -- hosted 44 domestic flights through Monday that had been scheduled to use Kansai airport. Train services to and from the airport resumed Tuesday after a railway operator fixed damage to tracks from the tanker collision, although the road section of the bridge is not expected to fully reopen until around May 2019.